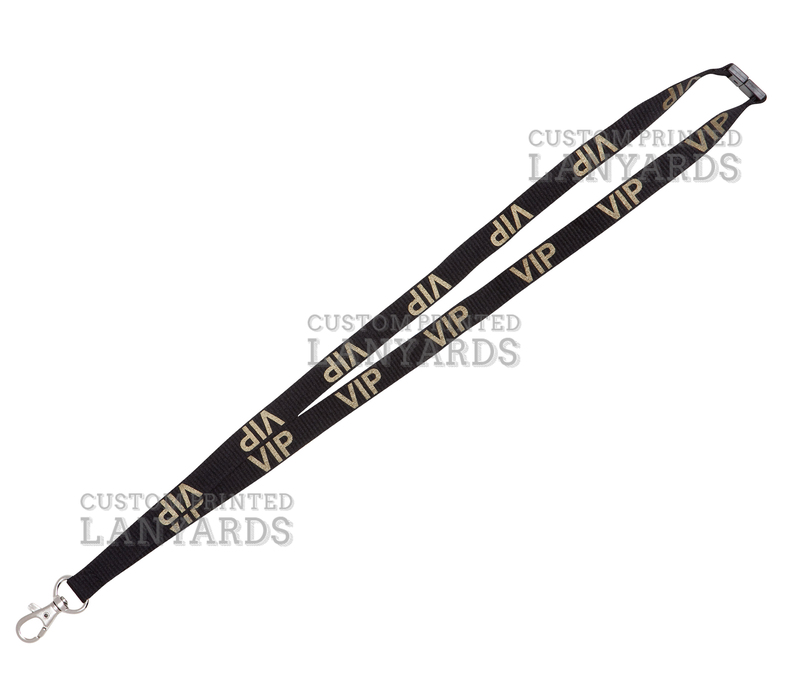 Gold Printed VIP Lanyards have a black background to make the print pop out for easy identification. Same lettering as our silver VIP lanyards, but with a gold print to give elevated status to your most important guests. These preprinted lanyards come standard with a safety breakaway at the back of the neck and our deluxe swivel for attaching the ID card. These lanyards are kept in stock so we can do a fast ship for you to anywhere in the UK.